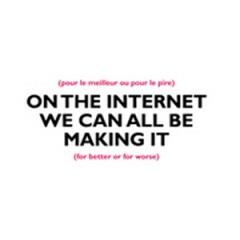 A flat shipping and handling fee of $5 will be added to all basic orders within Canada. 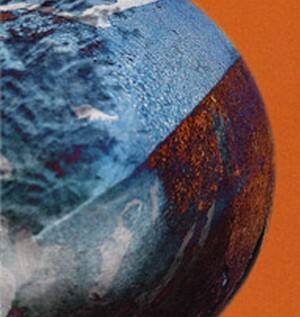 Additional shipping fees may apply for larger orders, or for those being shipped internationally. 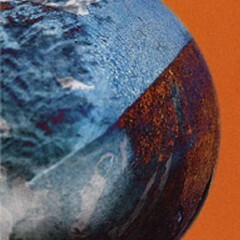 You may place your order by paying directly for your purchase using our secure online PayPal service. 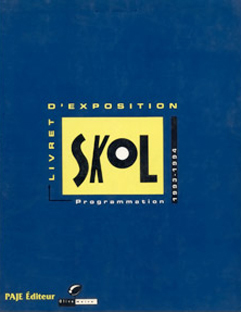 You can also send a cheque (payable to Centre des arts actuels Skol) – in this case, please place your order by emailing skol@skol.ca to confirm the total price beforehand. 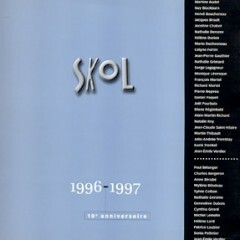 Skol uses Canada Post for shipping, in order to ensure a secure and professional delivery of all products. 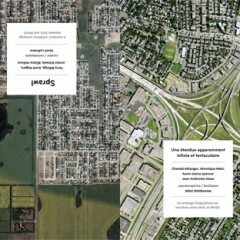 Please consult the Canada Post website for details about delivery standards. 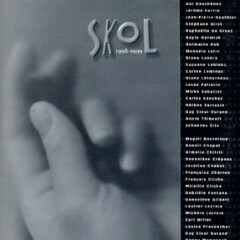 Skol will aim to prepare and ship your item(s) within approximately 1 week of receiving your order. 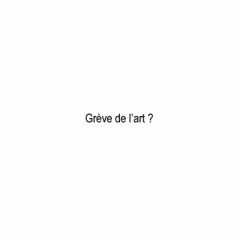 Publication sur l'exposition Grève de l'art, présentée du 18 mars au 23 avril 2016 à Skol. 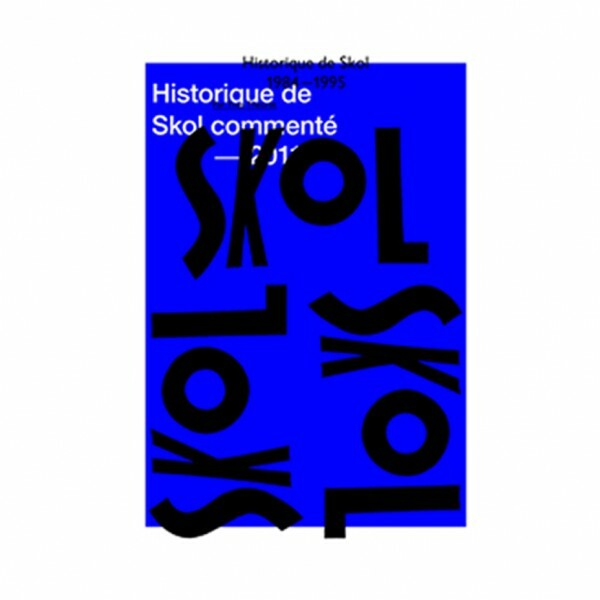 Publication on the exhibition Ras le bol, presented from April 18 to May 17 at Skol. 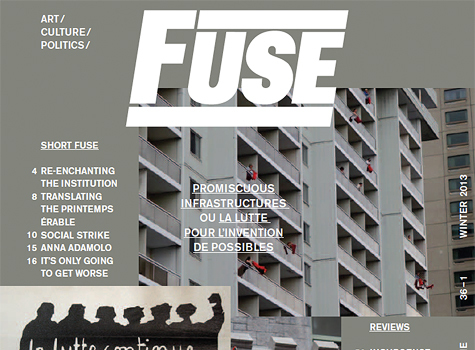 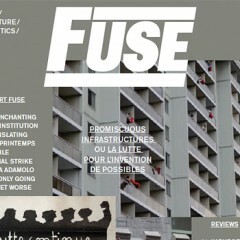 Special issue of FUSE Magazine, edited by the Artivistic collective in collaboration with Skol. 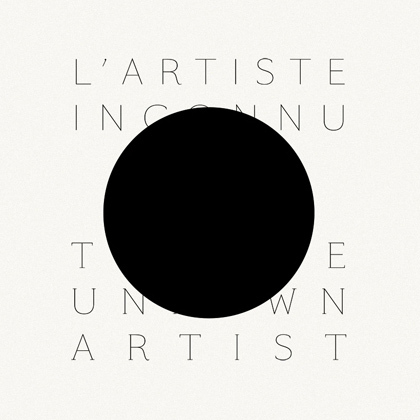 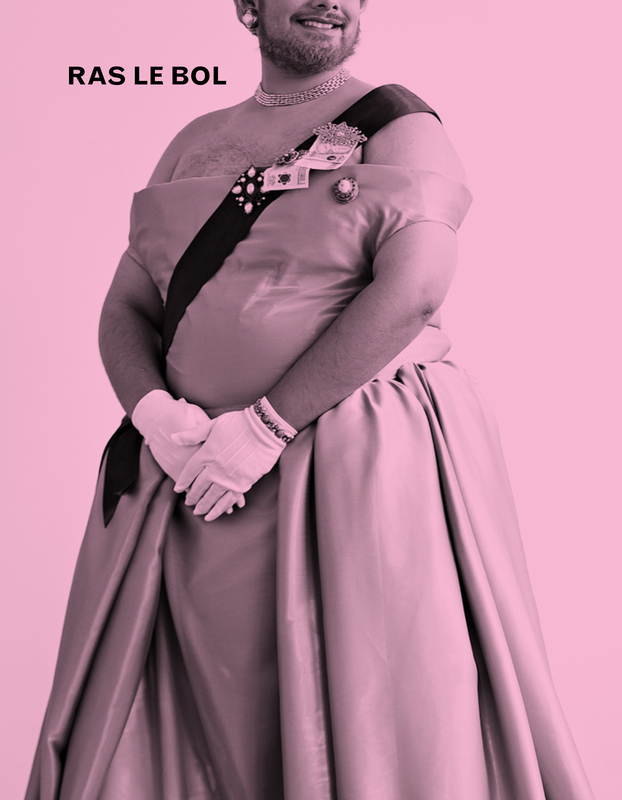 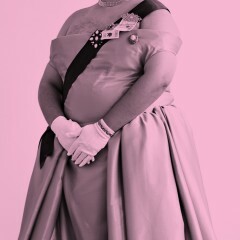 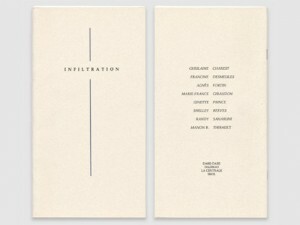 Publication which collects materials produced during The Unknown Artist programming, originally presented from January to June 2011. 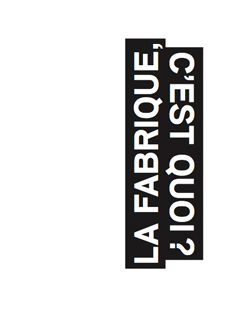 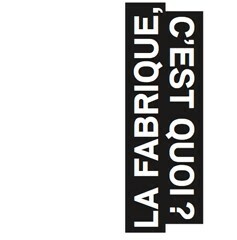 Publication on La Fabrique, an artist residency with Jean-Maxime Dufresne at Monseigneur-Richard High School in winter of 2011. 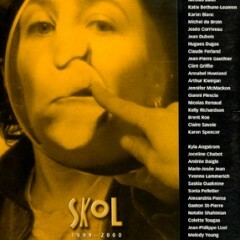 It accompanies the documentary exhibition presented at Skol from 20 to 29 October 2011. 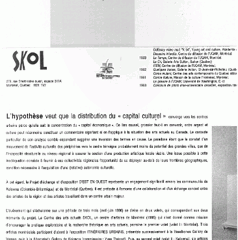 Publication edited by Centre des arts actuels Skol that accompanied the group exhibition Sortons les archives/Embracing the Archives presented at Skol from November 4 to December 17, 2011. 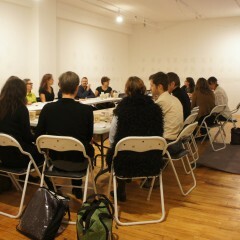 Synopsis by Felicity Tayler of a master class led by Julie Ault, presented at Skol on October 20, 2011, in partnership with the Leonard and Bina Ellen Gallery. 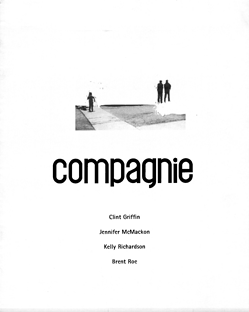 Publication to accompany a double exhibition Une étendue apparemment infinie et tentaculaire / Sprawl, which consisted in an exchange between members of artist-run centres Skol (Montreal) and PAVED Arts (Saskatoon). 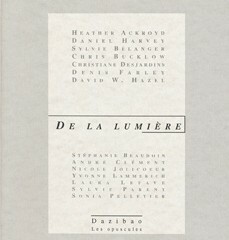 Publication produced in the context of l’École erratique, held at Skol from May 17 to 9 June 2011. 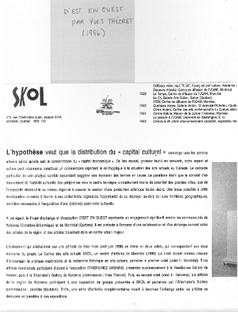 Publication by Centre des arts actuels Skol that was produced following the exhibitions The Betweeners by Ian Wojtowicz and Scandalishious by Ann Hirsch from April 16 to 22 May, 2010. 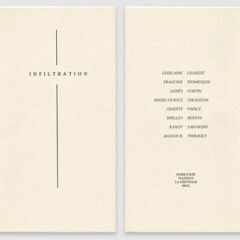 Compilation of collaboratively edited pieces resulting from the Àpart! 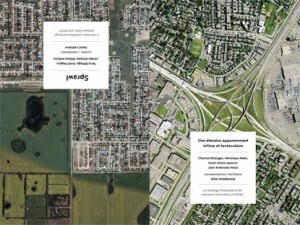 Workshops that took place from July 10 to 17, 2008. 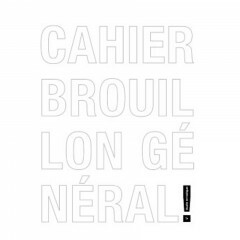 Biannual contemporary arts journal published by Rhinocéros (Strasbourg), in collaboration with Centre des arts actuels Skol for this special issue. 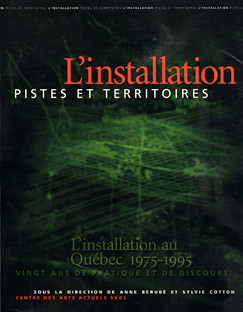 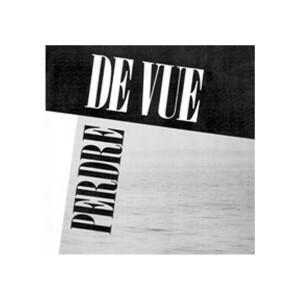 Essays, artists statements and bibliographic record on the installation practice in Quebec from 1975 to 1995. 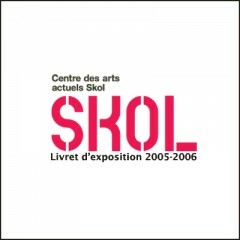 Exhibition catalogue for the 2005-2006 programming year at Centre des arts actuels Skol. Exhibition catalogue for the 2004-2005 programming year at Centre des arts actuels Skol. 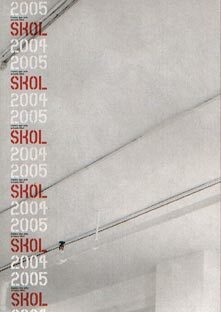 Exhibition catalogue for the 2003-2004 programming year at Centre des arts actuels Skol. 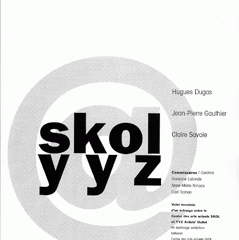 Exhibition catalogue for the 2002-2003 programming year at Centre des arts actuels Skol. 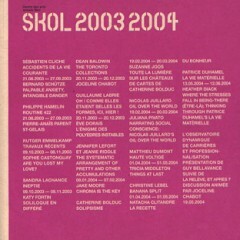 Exhibition catalogue for the 2001-2002 programming year at Centre des arts actuels Skol. 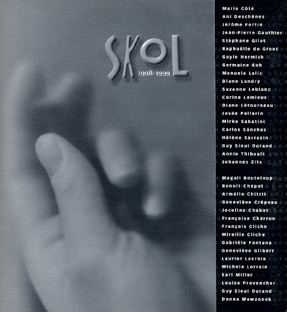 Publication that document Skol’s 2000-2001 season dedicated to new forms of “relational” practices. 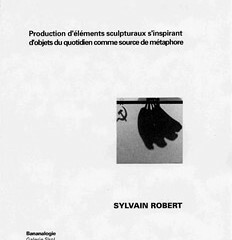 This anthology doubles as a catalogue featuring comments and meditations on that theme, present in the proceedings of a seminar entitled Des formes de l’art aux formes de vie. 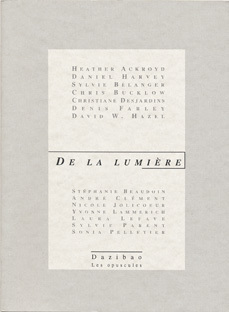 Publication presented by l’Échange International d’Artistes de Bâle (IAAB) to celebrate the 15th year of exchange of artists residencies between Montreal and Bâle. 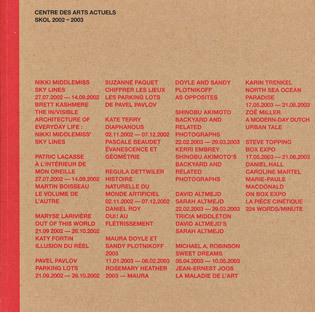 Exhibition catalogue for the 1999-2000 programming year at Centre des arts actuels Skol. 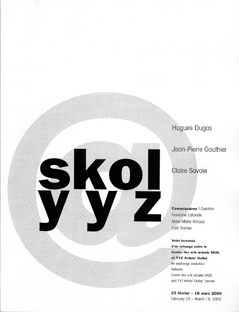 Publication to accompany a exchange exhibition of Hugues Dugas, Jean-Pierre Gauthier and Claire Savoie between artist-run centres Skol (Montreal) and YYZ Artist's Outlet (Toronto) in 2000. 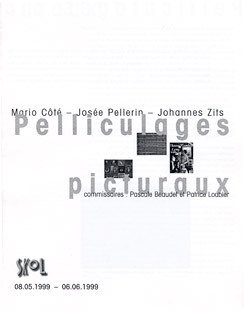 Correspondences between curators Pascale Beaudet and Patrice Loubier on the exhibition that brought together the work of Mario Côté, Josée Pellerin and Johannes Zits and dealt with pictorial practices that consider photography as a constitutive part of the image. 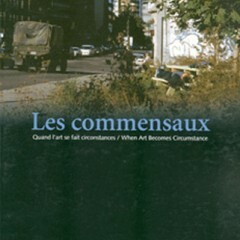 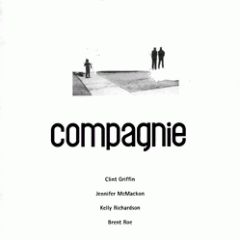 Publication that accompagny the exhibition Compagnie, organized by Sally McKay and Daniel Olson, which is the Montreal component of an exchange between Centre des arts actuels Skol and YYZ Artist's Outlet of Toronto. 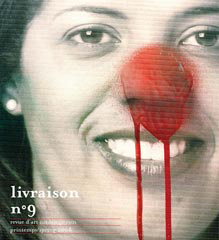 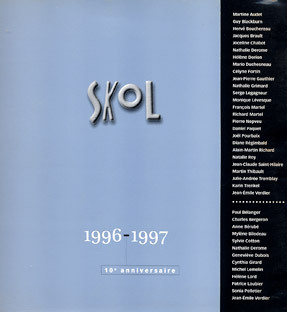 Exhibition catalogue for the 1998-1999 programming year at Centre des arts actuels Skol. 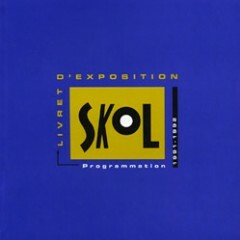 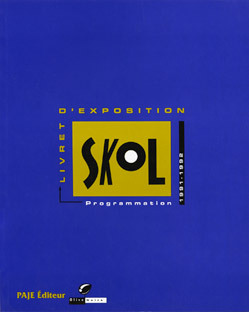 Exhibition catalogue for the 1997-1998 programming year at Centre des arts actuels Skol. 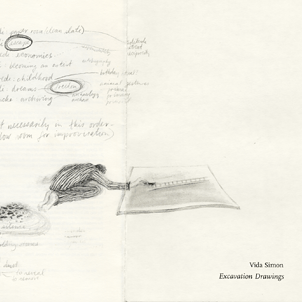 Essays on the exchange and exhibition project that took place from April 4 to 27 at Headbones Gallery in Vernon (BC), from May 2 to 23 at The Alternator Gallery in Kelowna (BC), and from May 18 to June 16, 1996 at Skol. 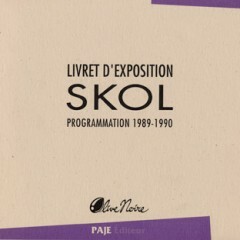 Exhibition catalogue for the 1996-1997 programming year at Centre des arts actuels Skol. 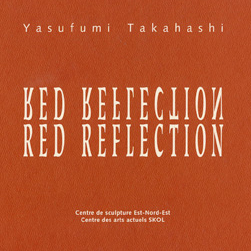 Exhibition catalogue of the japanese artist Yasufumi Takahashi's exhbition, that took place from October 14 to November 12, 1995 at Centre des arts actuels Skol. 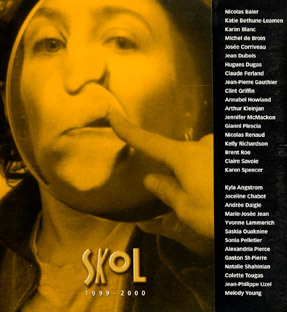 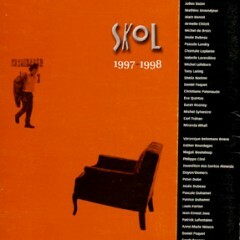 Essays on the collective exhibition that took place from September 7 to October 8, 1995 at Centre des arts actuels Skol. 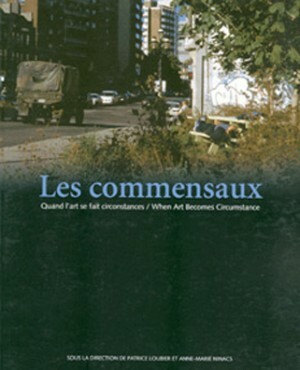 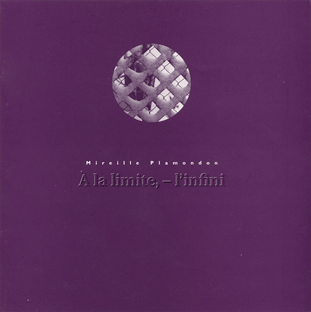 Artist book by Mireille Plamondon. 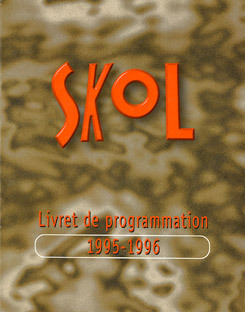 Exhibition catalogue for the 1995-1996 programming year at Centre des arts actuels Skol. 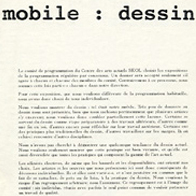 Essays on the collective exhibition that took place from April 22 to May 14, 1995 at Centre des arts actuels Skol. 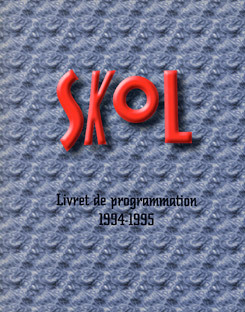 Exhibition catalogue for the 1994-1995 programming year at Centre des arts actuels Skol. 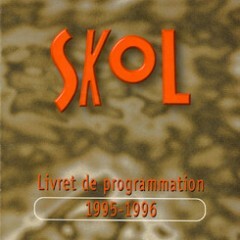 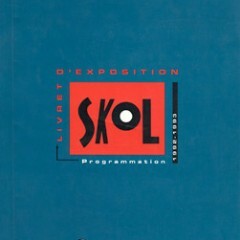 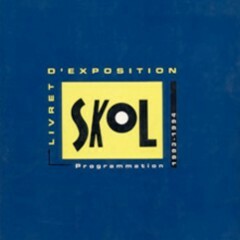 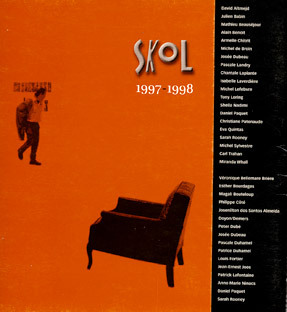 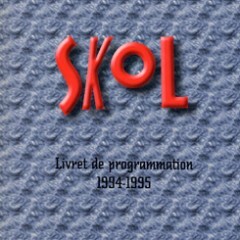 Exhibition catalogue for the 1993-1994 programming year at Centre des arts actuels Skol. 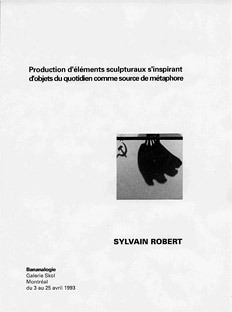 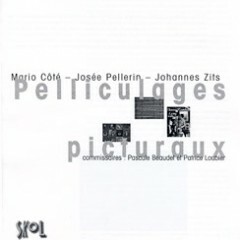 Publication following the exhibition of Sylvain Robert in 1993. 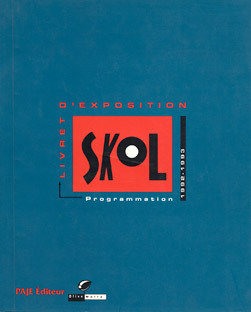 Exhibition catalogue for the 1992-1993 programming year at Centre des arts actuels Skol. 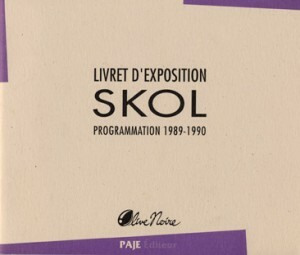 Exhibition catalogue for the 1991-1992 programming year at Centre des arts actuels Skol. 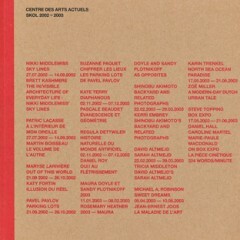 Exhibition catalogue for the 1990-1991 programming year at Centre des arts actuels Skol. 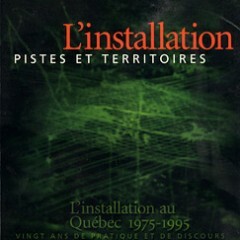 Critical and creatives essays following an exhibition by ten quebec artists presented during Mois de la Photo à Montréal in 1990. 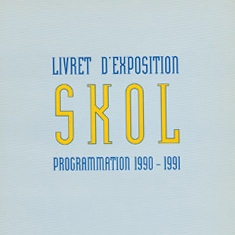 Exhibition catalogue for the 1989-1990 programming year at Centre des arts actuels Skol. 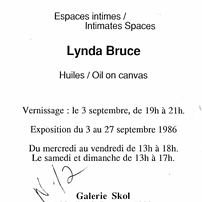 Publication following the exhibition of Lynda Bruce, held from september 3 to 27, 1986.